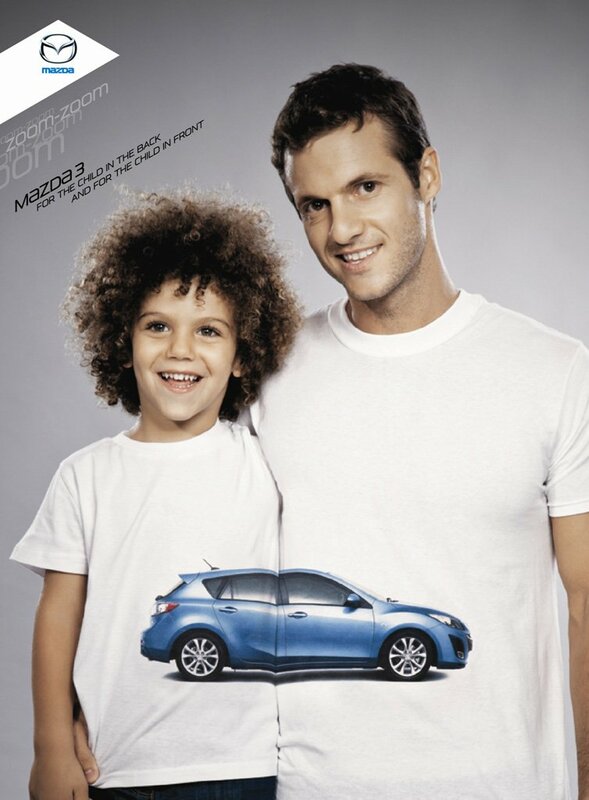 Delek Motors in Tel Aviv, Israel, commissioned this print advertising campaign for the Mazda 3 family car, showing children of various ages with blending t-shirts. 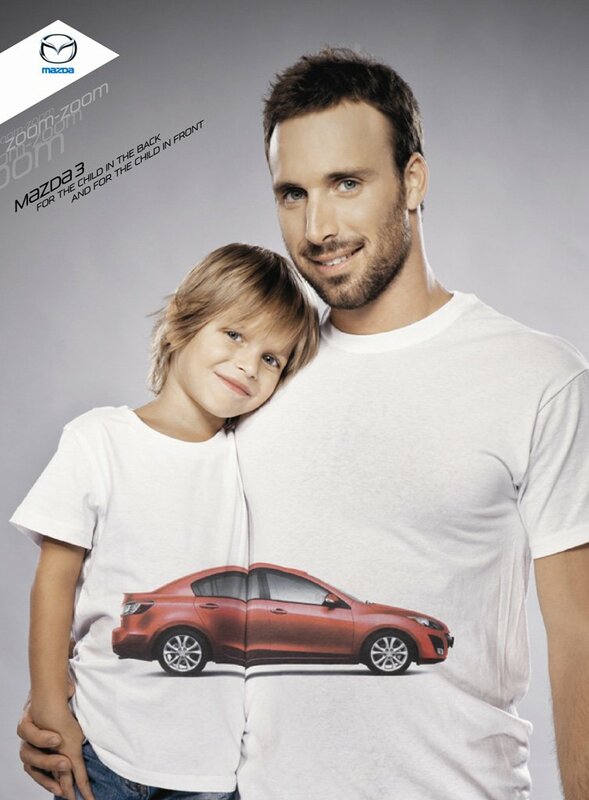 “For the child in the back and for the child in the front”. 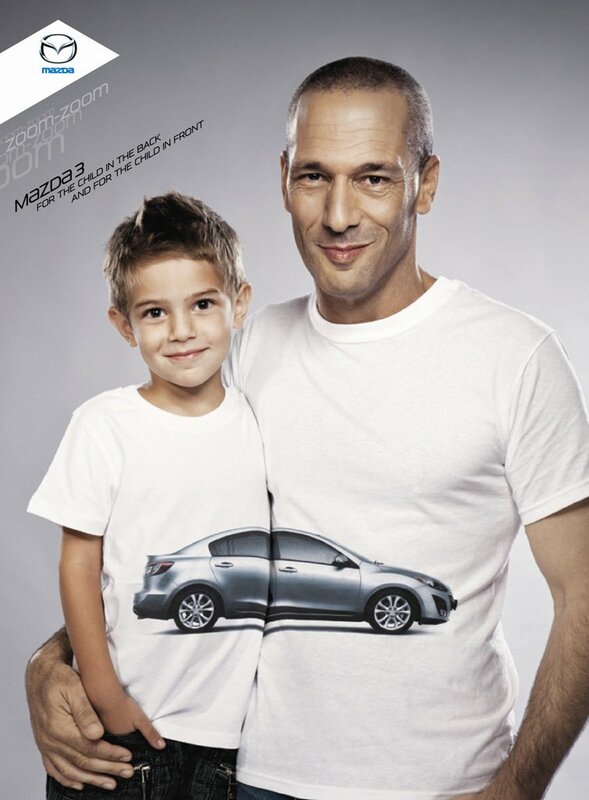 Good one for Father’s Day! The Child in the Front/Child in the Back series was developed at BBR Saatchi & Saatchi, (Baumann Ber Rivnay) Tel Aviv, Israel, by chief creative officer Nadav Pressman, creative director Eran Nir, copywriter Tomer Gidron, art director Yuval Zukerman, client manager Idit Zuckerman, account supervisor Yogev Weiss, account executive Ziv Mishaan, VP strategic planning Gili Sasson, planner Gilad Kremer, VP production Dorit Gvili, producer Gali Starkman, photographer Adi Orni and retoucher Yaniv Shachar.